Next weekend I'll be making up for it no doubt! So anyway, here are some cupcakes I made for a workmate's birthday. Chocolate peanut butter CCs and lemon CCs. 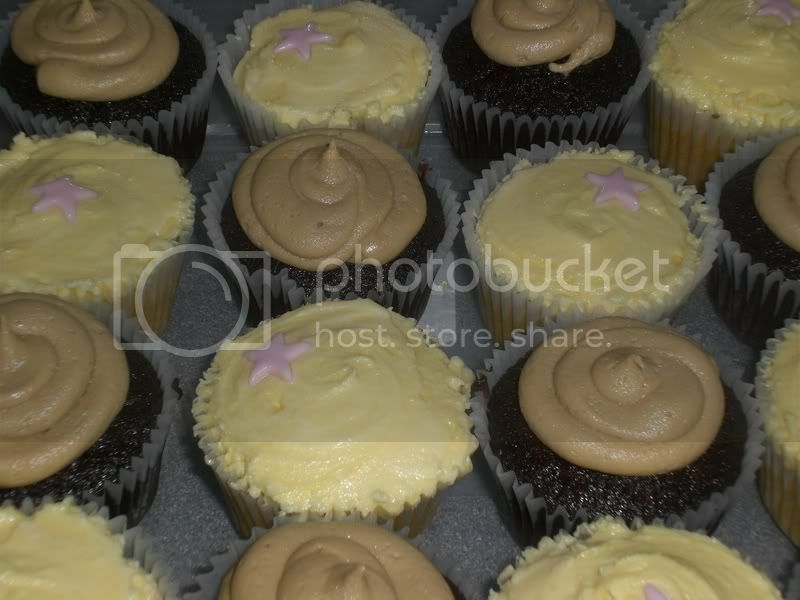 Unfortunately, I decided to use a straight piping nozzle for the PB frosting and they look a little like poop! ah well, they tasted nice which is what matters! 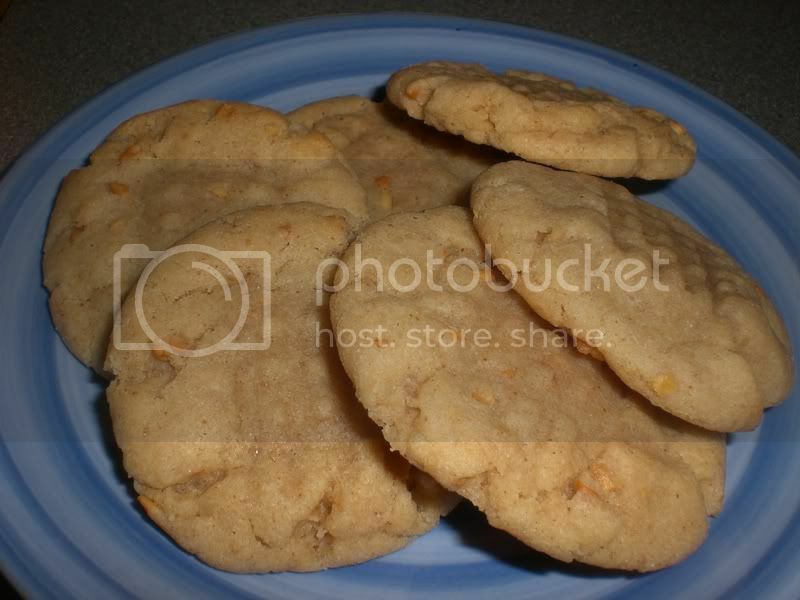 I also made some peanut butter cookies. I know there's a zillion pb cookie recipes out there, but I wanted to make my own version up. It's good, but not quite right so I need to work on perfecting it a bit before I'm happy to share it. aw - i like the cuppycakes! i think they're super cute! and those cookies look rock'n, too. i can't wait for the tweaked recipe - mmmmmmmmmmm! i do love, love, love a good pb cookie! Those pb poo cupcakes look delicious! Make sure to check out Millie's in SoHo while you're there!